Okay… I’ve calmed down. Now for silliness. 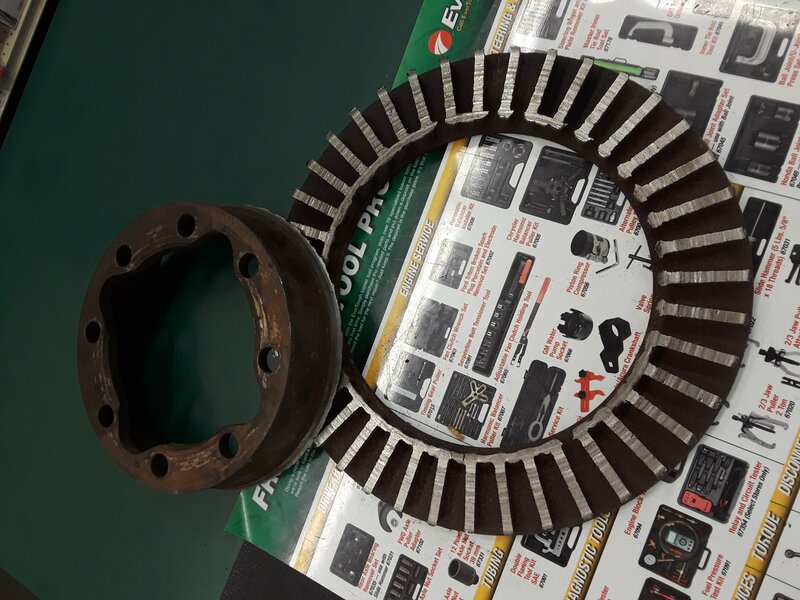 I’ve seen this on the Internet before but never thought I’d see a brake rotor this bad in person. The (Oh, oh,) O’Reilly…. Auto Parts (Yow!) here in Willows just had a customer bring this in when buying new parts. Daaaaaaang! Or should I say, YOW!